The Authority is committed to addressing the community's workforce housing needs by providing innovative financial solutions aimed at preserving and increasing affordable rental housing opportunities in Central Florida (Orange, Osceola, Lake and Seminole Counties). The Authority's unique ability to issue below-market, Multi-Family Tax-Exempt Mortgage Revenue Bonds reduces the developers intermediate and large-scale cost of acquiring, constructing and rehabilitating rental housing. As a result, tenants are provided opportunities to live in quality affordable rental housing. While developers may be eligible to receive financing from more than one of the programs listed, each program has its own specific requirements and underwriting guidelines that must be met prior to funding. Please visit each of the programs for a more comprehensive understanding of the sources of financing that may be available to developers; as well as, access to the required guidelines, requirements, applications and forms that must be completed for a consideration of funding. 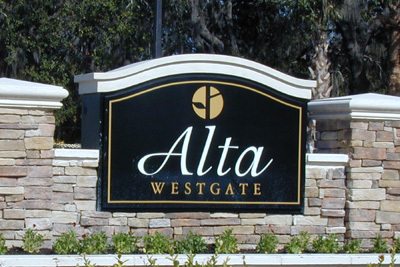 All applications for Regions 6 (Lake, Osceola and Seminole Counties) and Region 14 (Orange County) that meet the threshold requirements of the Authority, as set forth below, will be submitted to the Board of Directors’ for consideration, in the order of their receipt by the Authority, and if approved, will be submitted to the State Division of Bond Finance to determine Private Activity Bond Allocation availability. To comply with Internal Revenue Service (IRS) Code, OCHFA requires developers seeking tax-exempt bond financing to set-aside at least 20% at 50% AMI, of all units of the multi-family rental housing projects financed for low and moderate income families. Applications reviewed on a first-come, first-serve basis and are accepted until all of the allocation is committed or the deadline for use of the allocation expires. Questions relating to this application and the policies of the Authority should be directed to Mr. Morris, Executive Director, and no other persons unless otherwise authorized by the Executive Director. At the time of an applications submission, a check (made payble to OCHFA) in the amount of 0.10% of the requested total bond principal, must be included. Because multi-family bonds are tax-exempt, developers receive lower interest rates, reducing their interest expense and allowing them to set lower rents. Multi-family bonds are issued on a project-specific basis. Taxable bonds may be issued as well to offer additional funds for the production of affordable rental housing. (SBA Florida - Division of Bond Finance) - (SBA Florida - Private Activity Bond Allocation). It is important to track specific uses of bond proceeds, particularly when computing eligibility for housing credits or other spending limitations. Ineligible uses include acquisition only or refinancing. Applicants should work with legal counsel to determine further eligibility. OCHFA reserves the right to request a legal opinion addressing eligibility issues. OCHFA requires applicants to provide evidence of their ability to develop, construct, market and manage multi-family rental housing projects. Applicants are required to be in compliance with all laws, rules and regulations on all housing developments previously financed directly or indirectly by the Agency. On July 1, 2004, the Internal Revenue Service issued Revenue Procedure 2004-39, setting forth procedures for determining whether a bond financed residential rental project is in compliance with the set-aside requirements contained in Section 142(d) of the Internal Revenue Code in the context of an acquisition/rehabilitation transaction or a new construction project. This revenue procedure provides guidance to States and local governments that issue bonds to which section 142(d) of the Internal Revenue Code applies. It sets forth procedures for determining whether a residential rental project is in compliance with the applicable set-aside requirements. In order to comply with the IRS Internal Revenue Code, the Authority's Compliance Division monitors each project regarding its financial, physical and occupancy compliance with various regulatory documents. Compliance Administrations' basic objectives include the protection of the OCHFA's mortgage, protection of tenants’ rights, owners and management agents as afforded under the Land Use Restriction Agreement (LURA). Preliminary approval entails all components of the Minimum Threshold Review. It is during this phase that the project is analyzed for possible presentation to the OCHFA Board of Directors'. If the project meets all threshold requirements, the project will be presented to OCHFA's Board for consideration of an inducement resolution. After a project has received an inducement resolution, the applicant must then apply for a reservation of tax-exempt bonds from the state's volume cap. If a project has been induced by the Agency/Authority, the project can receive a volume cap reservation for an amount up to 110% of its inducement amount without seeking further OCHFA Board approval. Applicants must receive a volume cap reservation before they can proceed with final approval. During the final approval stage, OCHFA's professionals and staff will perform additional underwriting; along with structuring of the deal and documents preparation. Applications are to be submitted based on the dates stipulated in the application package. When the Authority asked to issue the bonds, staff requires adequate time to review the application in order to make a recommendation to the Authority's Board of Directors. The application for funding must be submitted no later than the dates specified. OCHFA executive staff conducts an internal review of the application to determine which projects should be placed on the Authority's Board of Directors Agenda for consideration. The Authority's Board of Directors meets the first Wednesday of the month. Since there are multiple phases of review, timing OCHFA's receipt of a complete application is vital. The applicant must prepare submissions for preliminary approval (inducement) and final approval that coincide with OCHFA's Board of Directors' regular monthly meeting schedule, in accordance with the published date listed in the application. The Multi-Family Mortgage Revenue Bond program (MMRB) uses both taxable and tax-exempt bonds to provide below market-rate loans to non-profit and for-profit developers who set aside a certain percentage of their apartment units for low income families. These bonds are sold through either a competitive or negotiated method of sale or private placement. The Authority's MMRB program requires that at least 20 percent of the units be set-aside for households earning at or below 50 percent of the Area Median Income (AMI). The developer may also opt to set-aside 40 percent of the units for households earning at or below 60 percent of the AMI. Affordable housing developers are able to use the dollars from this program in conjunction with other Florida Housing programs, such as the Affordable Housing Guarantee Program, which participates in the U.S. Department of Housing and Urban Development's Multifamily Risk Sharing program, and the State Apartment Incentive Loan Program. The MMRB process is a multi-layered to include periods such as the allocation of private activity bonds; rural development, ranking and scoring of applications; public hearings; credit underwriting; fiscal sufficiency; loan commitment; real estate closing; and bond pricing and closing. Typically, affordable housing developers involved in the construction or acquisition of properties of 200 units or more submit applications to the MMRB program. Application to the Authority only commits the Authority to consider the applicable Project and financing; and does not create any rights in favor of the applicant. The Authority has expressed concern that rising interest rates might render a project infeasible prior to closing. All applicants must therefore indicate the maximum “all in” interest rate which, in the opinion of the applicant, bond financing is feasible for a project. The Authority reserves the right to withdraw its application for bond volume cap in the event interest rates rise to a level which, in the sole discretion of the Authority, is above the maximum feasible rate for a project. The Authority appreciates your interest in submitting an application for any of its multi-family bond financing products. Applications accepted for Orange County (Region-14); and or Lake and Seminole Counties (Region-6). Applications and inquiries for proposed projects in Osceola County must be submitted to the Osceola County Housing Finance Authority. An Application Fee of 0.10% of the total bond principal requested, must be submitted with the application, to be deemed a completed submission. Applications are being accepted for Orange, Lake and Seminole Counties. For an application submission to be deemed complete, an Application Fee of 0.10% of the total bond principal requested, must accompany the application at the time of submission. Applications are being accepted for Orange, Lake, Osceola and Seminole Counties. NON COMPLIANCE OF THE ABOVE REQUIREMENTS WILL RESULT IN AN AUTOMATIC APPLICATIONS REJECTION. 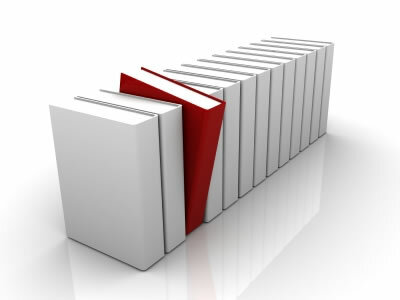 Guidelines of the OCHFA for the Refunding of Multi-Family Mortgage Revenue Bonds. The Authority's staff shall, from time to time, review the outstanding multi-family bond issues to determine whether or not a refunding of any of such bond issues or a refunding of a portion of such bond issues would create a sufficient cost savings to be in the best interests of the Authority, Developer and the public. At such time, as the Authority's staff and developer makes a determination that a refunding would create a sufficient cost savings to be in the best interest of the Authority, Developer and the public; it shall cause to be placed on the Authority's meeting agenda for consideration by the Authority at its regularly scheduled Board of Directors' monthly meeting, with a recommendation for a refunding of such bonds. If the Authority and Developer determines after review and consideration, that a refunding of a bond issue or a portion of a bond issue would create a sufficient cost savings so as to be in the best interests of the Authority, Developer and the public and in the best interests of the particular bond program; then OCHFA's Board of Directors' may direct staff, in conjunction with Financial Advisor, Bond Counsel, Underwriters and General Counsel, to take the action necessary to cause a refunding of a particular bond issue or portion of such bond issue. Below are the Multi-Family Rental Program Income Limits for the Orlando Metropolitan Statistical Area (Orlando MSA) for 2015 as provided by the Housing and Urban Development (HUD). The Orlando MSA includes Lake, Orange, Osceola and Seminole Counties. In accordance with IRS Revenue Ruling 94-57, MTSP participants (Multifamily Mortgage Revenue Bond and Housing Credit Participants) may continue to rely on the previous income limits, until 45-days after HUD releases a new list of income limits, or until HUD's effective date for this new list, whichever is later. Orlando MSA (Orange, Lake, Osceola, and Seminole County) area was subject to HUD's Hold Harmless Policy. The hold harmless provisions of IRC Section 142(d)(2)(E) mean that projects with at least one building placed in service on or before the end of the 45-day transition period for newly-released limits use whichever limits are greater, the current-year limits or the limits in use the preceding year. Properties placed in service or financed by tax-exempt bonds AFTER 5/31/2011. Projects Funded Under Pre-1986 Rules Only - Not Adjusted to Family Size. Applications for Orange County (Region-14); and Lake and Seminole Counties (Region-6) are being accepted until further notice, on a first-come, first-serve basis. Inquiries for proposed projects in Osceola County must be submitted to the Osceola County Housing Finance Authority. ...the Authority's Multi-Family Bond Program Guidelines are subject to change in the future, pending developments in state legislative requirements and/or "Agency/ Authority" policy. OCHFA reserves the right to make changes or amendments to these guidelines at any time. Questions relating to OCHFA's application policies must be directed to W.D. Morris, Executive Director. The Orange County Housing Finance Authority hold periodic Tax Equity and Fiscal Responsibility Act (TEFRA) hearings related to the issuance of tax exempt bonds. * Certain other public meetings or hearings may periodically be scheduled. * To satisfy TEFRA requirements relating to publication of these notices, the Authority publishes meeting notice(s) in the Orlando Sentinel (respective of the proposed projects county); and only such publication may be relied upon.